Now this is rare. 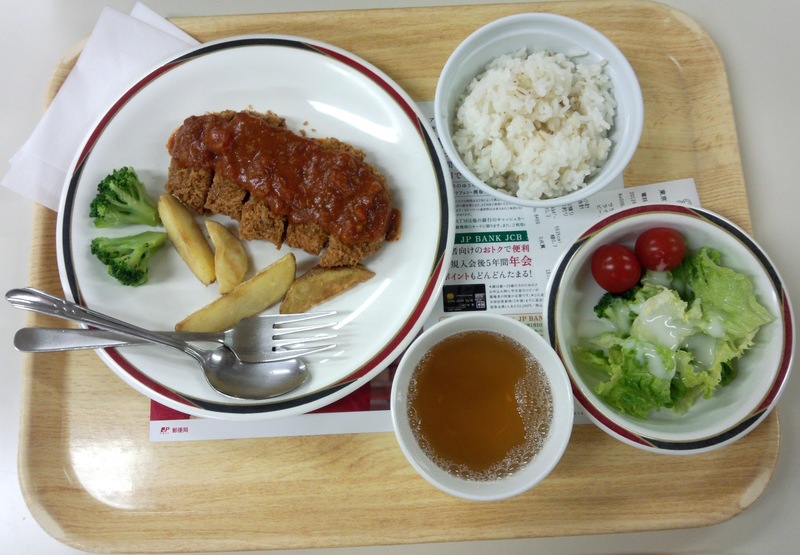 Beef Katsu. There's a Christmas "Aussie Fair" / オージーフェアー / Oojii Feaa at the cafeteria today, featuring different kinds of beef dishes. This is the first one I tried. I think it's 294 yen for one plate, which I got with "S" size mugi gohan and some stuff from the salad bar. It didn't feel like beef beef inside, more like ground beef with a not-so-healthy mix of meat and fats, but it tasted great. I guess I still like tonkatsu or chikin katsu better.